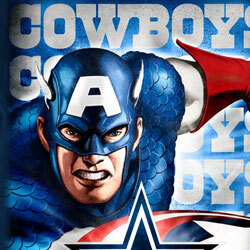 Marvel Entertainment, LLC, a global character-based entertainment licensing company, and the Dallas Cowboys today announced a collaboration that joins renowned Super Heroes from the Marvel Universe with one of the premier franchises in National Football League (NFL) history. 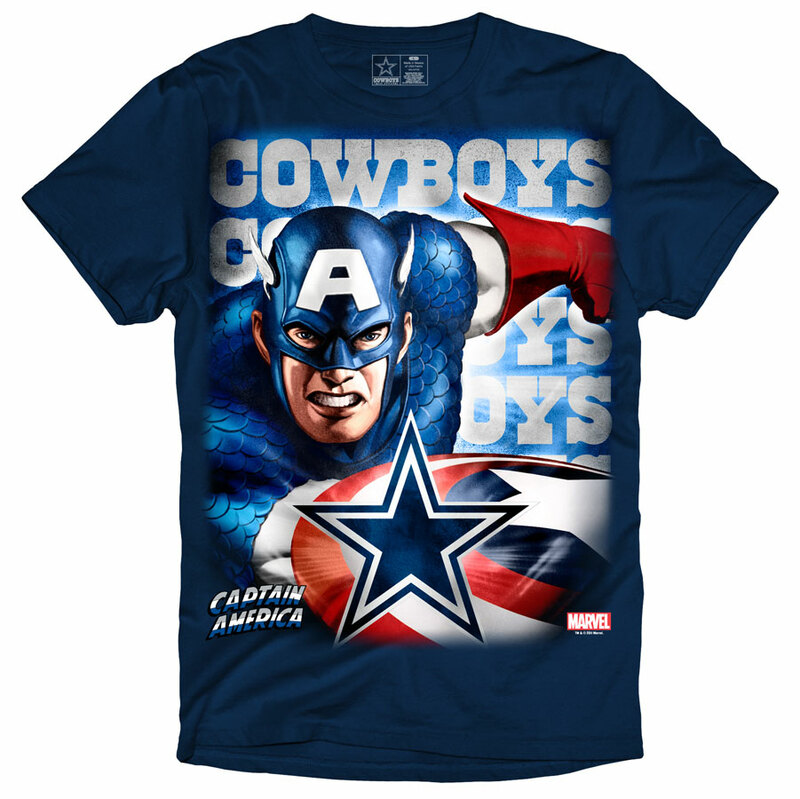 Through an agreement that enables the Dallas Cowboys to license Marvel’s Super Heroes, the team will develop co-branded merchandise featuring Captain America, Spider-Man, Iron Man, Thor, and many other Super Heroes decked out in Cowboys’ team colors, logos and jerseys. 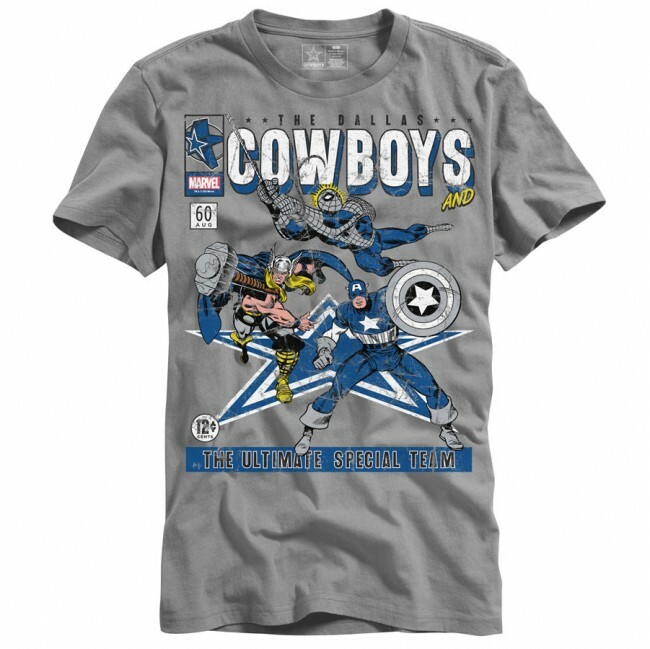 The Marvel/Dallas Cowboys collection for infants, kids, and adults will include t-shirts, sweatshirts, hoodies, caps and onesies. The line will debut this summer at mass, mid-tier and sporting goods retailers as well as at the Cowboys Stadium and Cowboys fan shops. Through their Dallas Cowboys Merchandising (DCM) arm, the Cowboys are the only major sporting team to design, manufacture, and distribute its own apparel and has an impressive 400,000 square foot facility which houses their corporate offices, distribution center and showrooms. The five-time Super Bowl champion Cowboys annually stand atop the NFL’s team merchandise sales. I would wear this. Except I’m a Lions fan. Bummer. Speaking as an european: I don’t see how any of this makes any sense whatsoever. I mean, those properties have nothing in common with sport; and even less to do with Dallas and Cowboys. Gross. 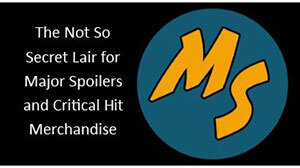 Not only do the two properties have nothing to do with each other, but the shirt looks like its just some random stuff from each franchise stuck together. 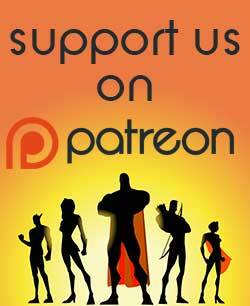 This seems like it will only appeal to a very small group of people who are big Cap fans AND big Dallas fans. 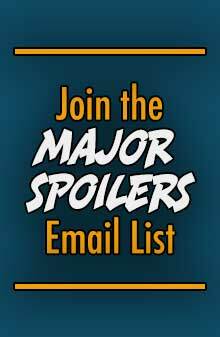 Spider-Man – Giants or Jets. I’m not really sure which. I’m not from the NY area so I don’t have a good feel for who roots for which team. Thor – Well, I’ll just go for the obvious. Packers fan. Both for the region and the attitude. But the Patriots will always be remembered as the “9/11” team. I’m wearing my Patriots colors with pride when I go see Captain America First Avenger. btw, fyi: I’m not Caucasian and from the West Coast originally. Was a longtime San Diego Chargers fans but ultimately became a Patriots fan when they changed thier uniforms and whole organization in ’93. Chargers lost to the 49ers in thier only Super Bowl app. and they fizzled for me after that. Yeah, I know San Diegans loathe the Patriots, lol. Visiting Gillette Stadium @ Foxboro is on my to-do bucket list. New York Giants for Spidey…or Cap. New York Jets for Nova: Big Nova fan but not a Jets fan. I’m a Patriots fan. This all looks like bottom shelf Walmart merch to me. I think it’s geared toward that market. And the special team comment on the second shirt made me think of the small yellow school bus type of special. The thing is, most of the super-types in the Marvel universe are from New York. Which means that most are going to be Jets or Giants fans, or at least a huge percentage of them. I picked the Giant for Cap because the Jets weren’t around when he was a boy. I was racking my brains for a potential Lions fan, and all I can come up with Amazing Man. Wait, he’s DC. Although I’m pretty sure he was originally supposed to be from Detroit.